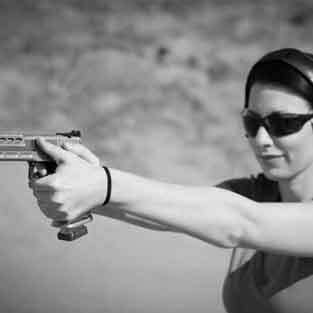 This class is for students who have previously taken the Basic Pistol Class, or have moderate experience handling and operating a handgun. It is extremely important to continuously improve concealed carry skills. This course will introduce more advanced concepts and skills. Having a firearm is only the first part. Knowing how to effectively use it under stress could make the difference between life and death. The cost is a flat fee of $100. This class lasts 4-5 hours, which includes classroom and range time. Students must be 18 and older to take this course. Classes will take place in an indoor, temperature-controlled classroom located at 1322 N. Academy Blvd. Suite 203A. All sales are final and no refunds will be given. For more info, please see our refund policy. 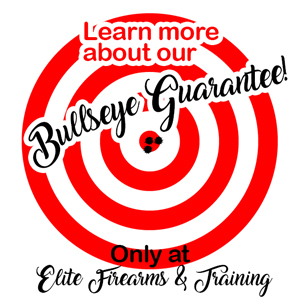 If you do not see a date that accommodates your schedule, please call/text (719) 445-6638 or email info@elitefirearmsandtraining.com to set up something that does! Interested in having a private class with family and friends? Contact Elite Firearms to set up a date. Classes are available seven days a week! Any of the above information discussed in class is solely a general discussion and should not be considered as giving legal advice.